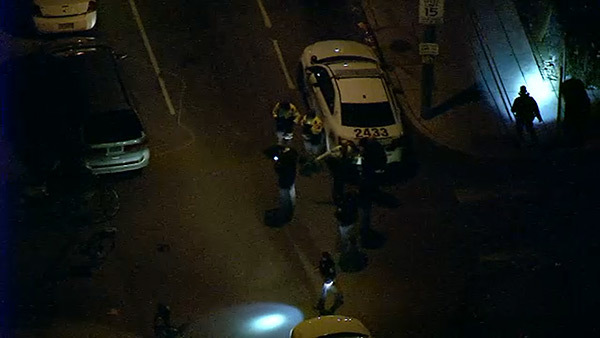 KENSINGTON (WPVI) -- Police say a man and woman are hospitalized after someone shot them in Philadelphia's Kensington section. It happened around 6:50 p.m. Thursday along the 3200 block of G Street at Madison. Police say a 25-year-old man was shot in the buttocks and abdomen. Officers took him to Temple University Hospital for treatment. A 31-year-old woman was shot four times, twice in the chest and once in the leg and once in the right arm. She was rushed to Temple by a private vehicle.